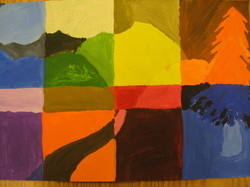 7th grade monochromatic landscape paintings. 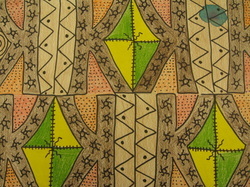 7th Mali Mudd Cloth design, using inversion and pattern. 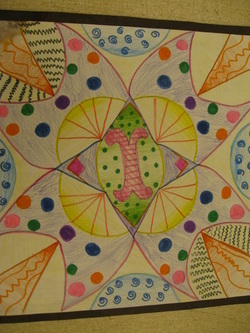 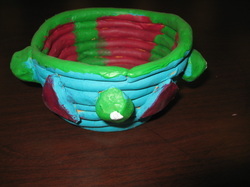 7th Islamic design, using symmetry, free form shapes, and geometric shapes.